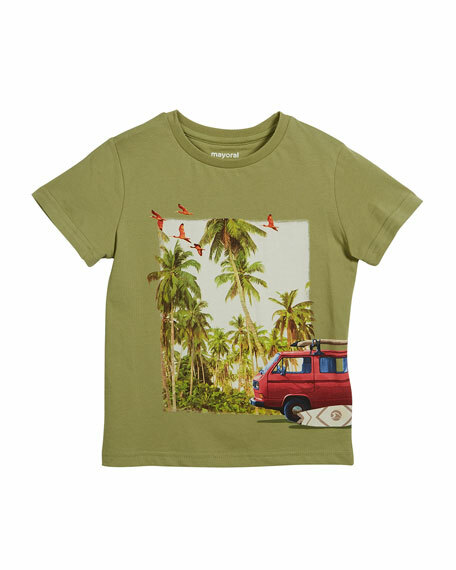 Mayoral T-shirt with beach scene graphic at front. For in-store inquiries, use sku #2501618. Mayoral two-piece shirt and shorts set. Short-sleeve shirt featuring crab and lighthouse embroidery at front. Striped, banded neck and cuffs. Crew neckline; full snap back. 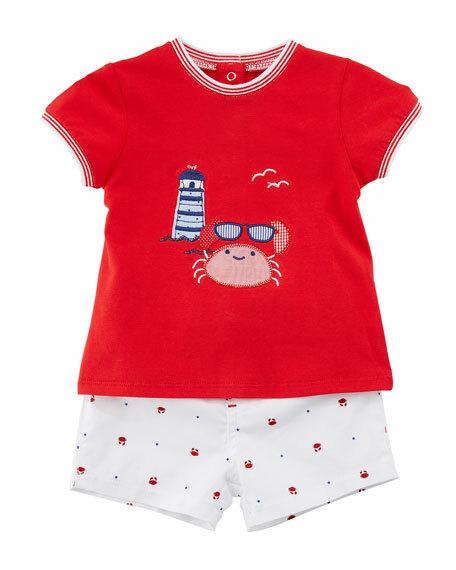 Includes shorts in allover crab and star pattern. Back patch pockets. Cotton/spandex. Imported. 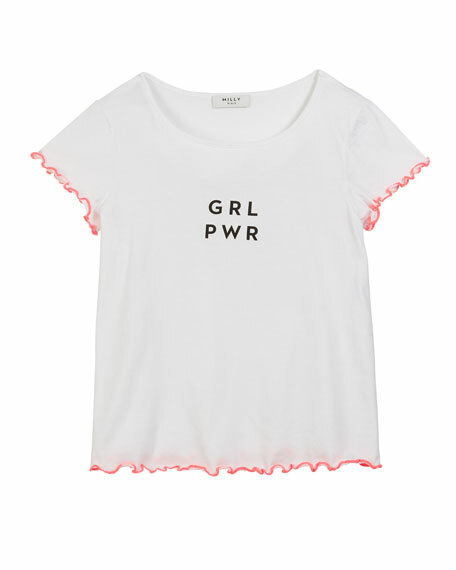 Milly Minis "GRL PWR" graphic tee. Contrast ruffle tipping. Crew neckline. Short sleeves. Pullover style. 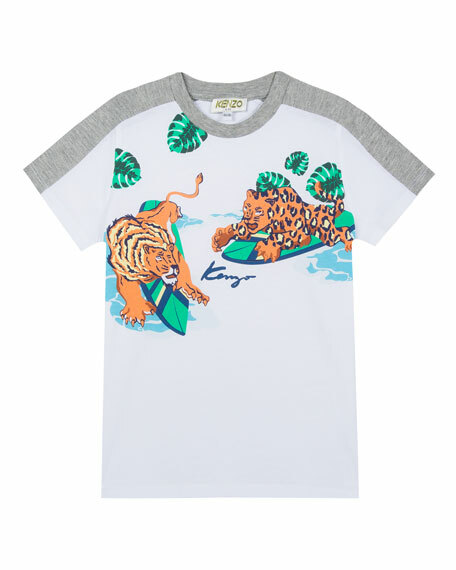 Cotton/modal. Imported.